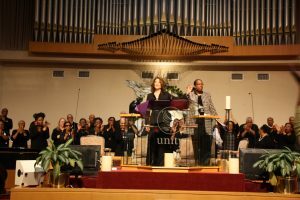 Worship at Unity of Washington, DC is an Adventure in fellowship. We have a diverse and abundantly talented congregation that celebrates the Goodness of God. We are One in Spirit, Love, Peace and Joy. The dynamic and powerful lessons in Truth by Reverend Sumter and a wonderful variety of guest speakers, will uplift your Spirit and you will know that All is Well in your life no matter the appearances.